Reading unlocks new worlds of knowledge, experience, and emotion… making our handsome Key Bookmark the perfect accessory for your favorite books! 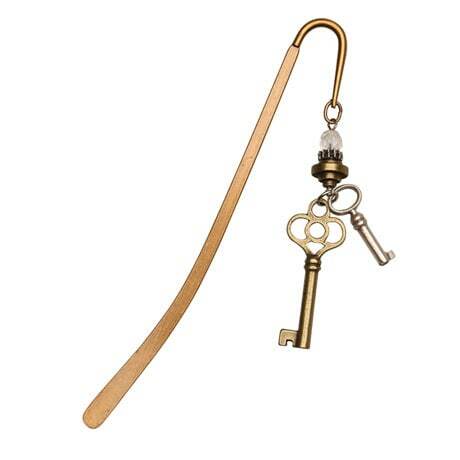 The slim, 5¾" brass-based die struck bookmark slips neatly between pages, dangling a pair of old-fashioned brass- and silver-plated pewter keys and a sparkling Czech firepolish crystal bead over the book's spine. Like jewelry for books, it's a lovely and useful gift for the reader who has everything!